Compare with last years round up. Last year there was several snow falls before the end of January, but this year there has been none. 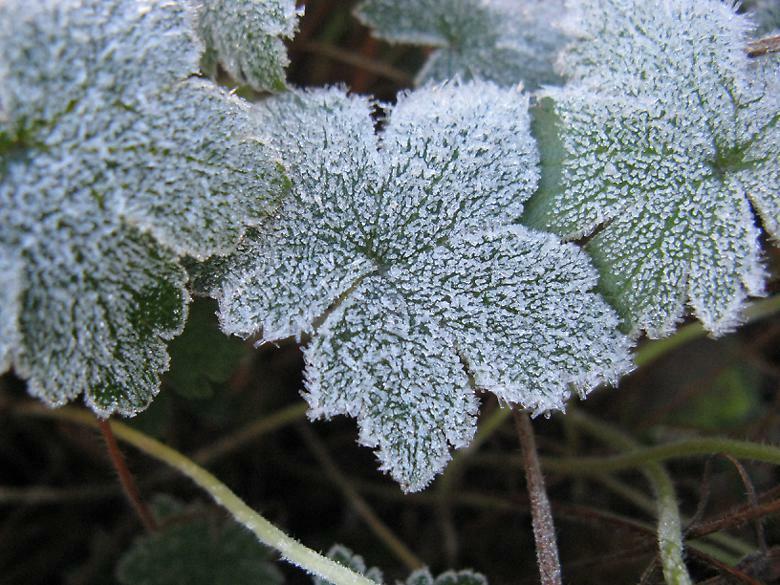 There were some very severe frosts where all the leaves were covered in ice crystals. Cyclamen coum. One of these has spread to quite a large area compared to last year. It is almost as if there are two. 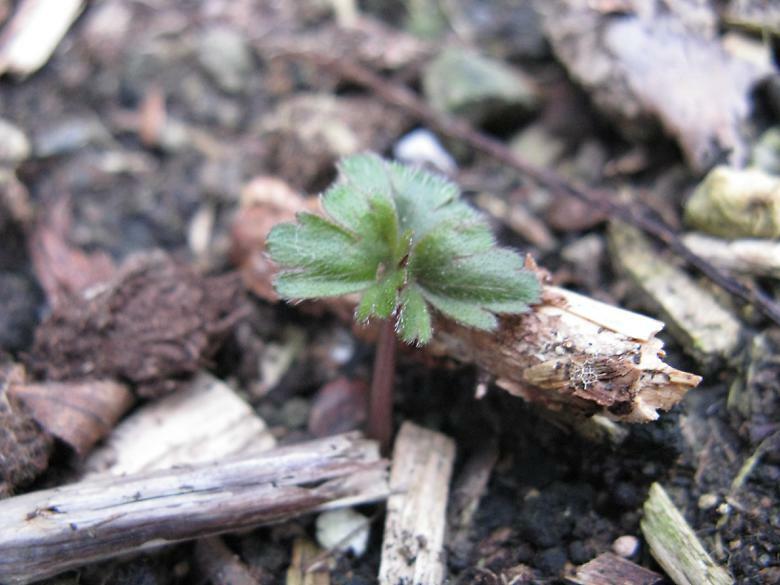 Last year I bought some Winter aconites and a Hellebore; neither of them have re-appeared again this year. I am giving them another chance so I got two pots of Aconites and a largish Hellebore. So that is four less problems I shall have in trying to find some space somewhere. The packets all have a fair number of seeds in them, far more than I will need, so I can try sowing under different conditions and times. I'm aiming for getting more than one to germinate this year. Here is the updated list. The end of my second year in the garden. 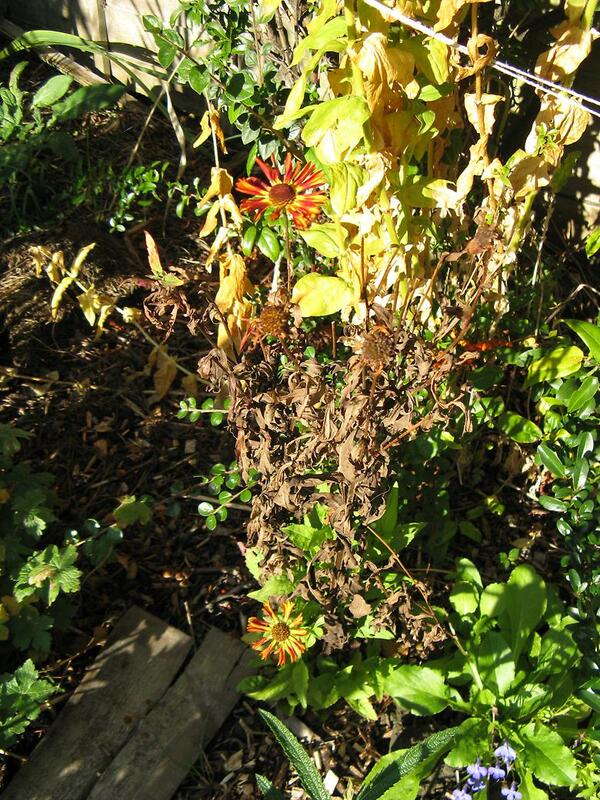 Last year was quite unusual in that there was snow and frozen ground, enough to kill off the tender plants. This year there has been barely a frost, and all the tender plant are still alive - past their best of course but still hanging on. I bought a few plants that were on sale and planted them in the new section reclaimed from the lawn. There are a few daffodils showing, for some reason one of the group always appears much earlier than the rest. Also signs of snowdrops. There is also one or two crocuses and a few of the Ipheion. What's flowering during the month? Its nearly the end of the year, and with it the end of my second gardening year. 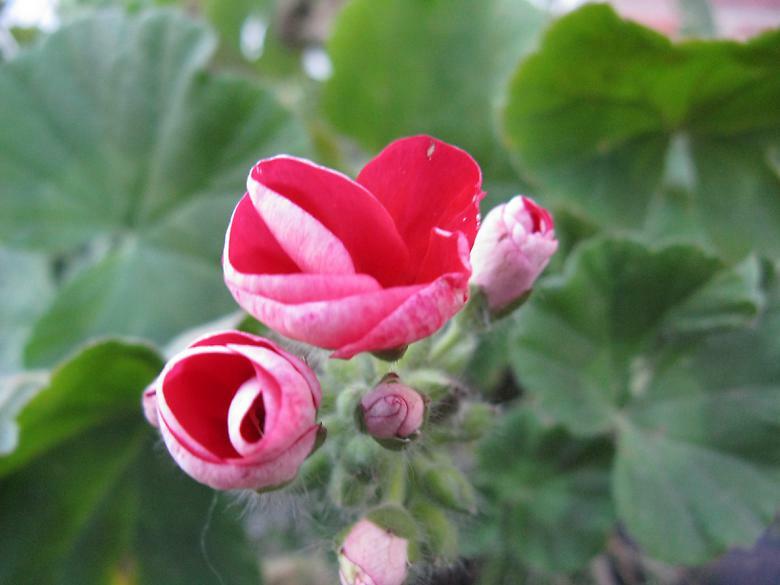 Last year, there was some very cold weather in December, which finished off the tender plants, but it has been much milder this year and I still have several flowers. More than six in fact, so leaving out the Geum, Helenium, Lavender, Penstemon, Sidalcea and Winter Jasmine. I planted these all around the garden and they didn't do much, although it has been interesting seeing where they grew well and where not. I suspect that there may still be some interest in seeing which ones are overcome by the cold first. Anyway, I don't believe that they have managed to get into any of my Sixes, so while there is still time, here is one of them. The Hardy plant society do a seed distribution of seeds sent in by members. I just joined at the beginning of this year and I received a random selection of seeds. I only managed to grow three plants from them, all Potentillas. This year, I wasn't going to order many but I ended up with 11, which may be more than I can easily manage. There is no guarantee that I will get these, and I didn't set up any replacements, so I may have fewer after all. There is surprisingly little going on in the garden at the moment. 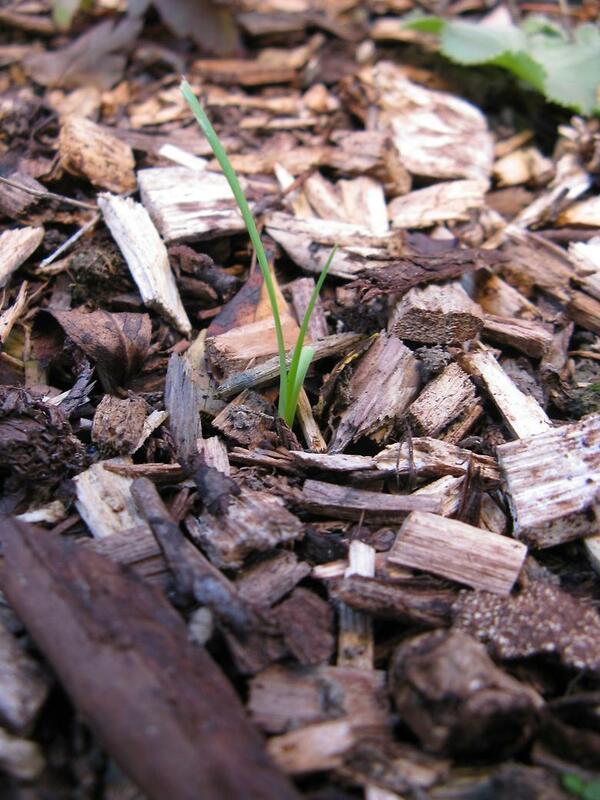 At this time last year there were daffodils appearing and some crocus too. This Ipheion uniflorum 'Charlotte Bishop' is shooting up leaves just like they did last year in December. I've planted 50 more of these, along with some I. 'Jesse'. It turned out that the later were very much smaller bulbs than the 'Charlotte Bishop' so we will have to see if they grow and flower as well this year. A lot of rain especially towards the end and the ground is very wet. Very little sun gets to the garden at this time of the year. There is not much to report this month, as things are slowing down and there is there is little new showing. I started to plant the new bulbs. The following were flowering at some point during the month. This is Helenium 'Siesta' and the original stems were dying back, while new growth was appearing at the bottom. There are now a couple of fresh flowers.